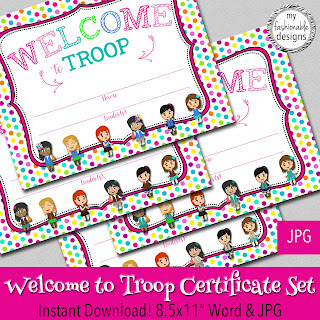 My Fashionable Designs: FREE Printable: Welcome to the Troop! 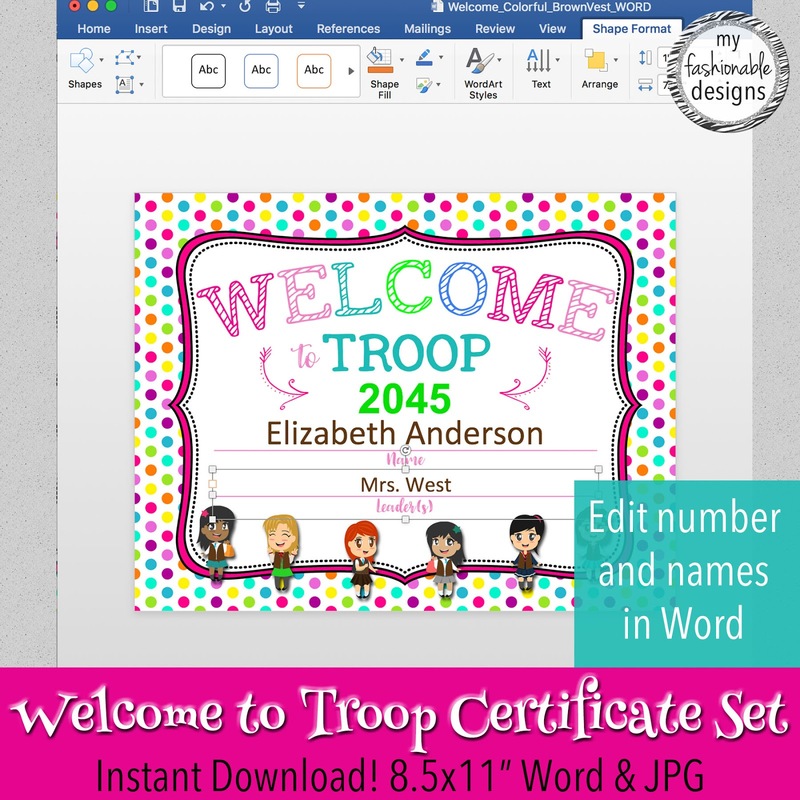 Enjoy these free printable Welcome certificates! Click on the image to download. 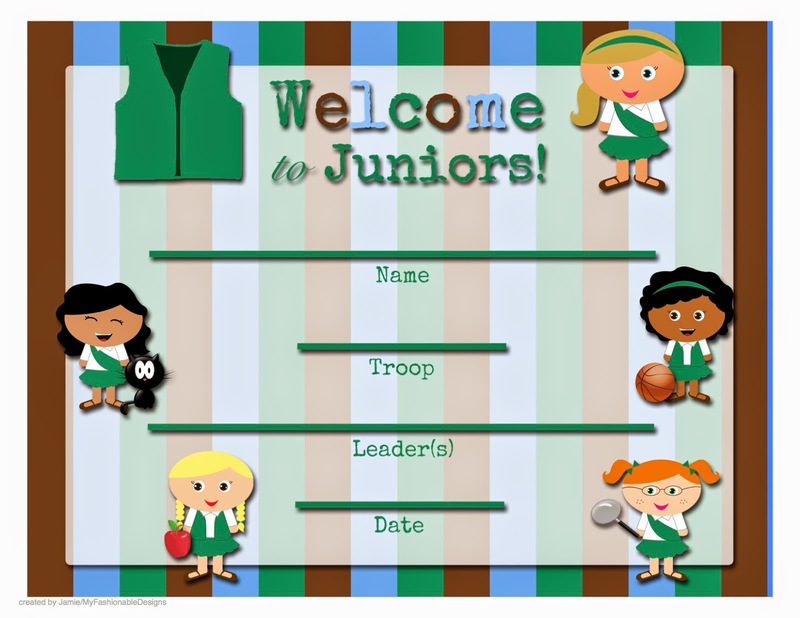 Welcome to the Troop Certificates! 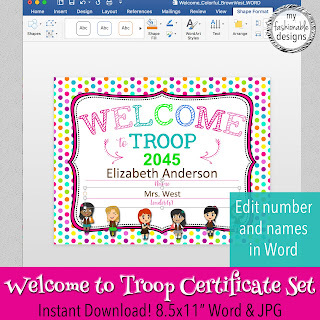 Enter names in Word. 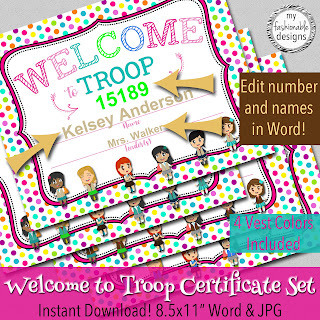 Includes 4 different vest colors! 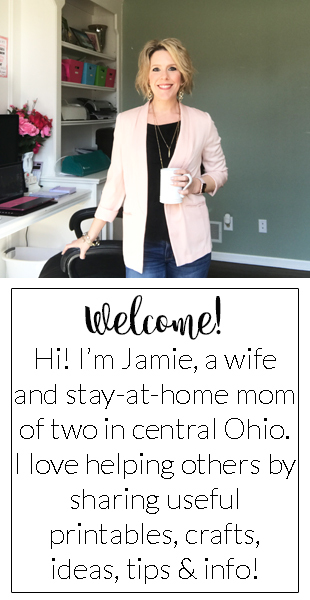 Visit link for all the details. 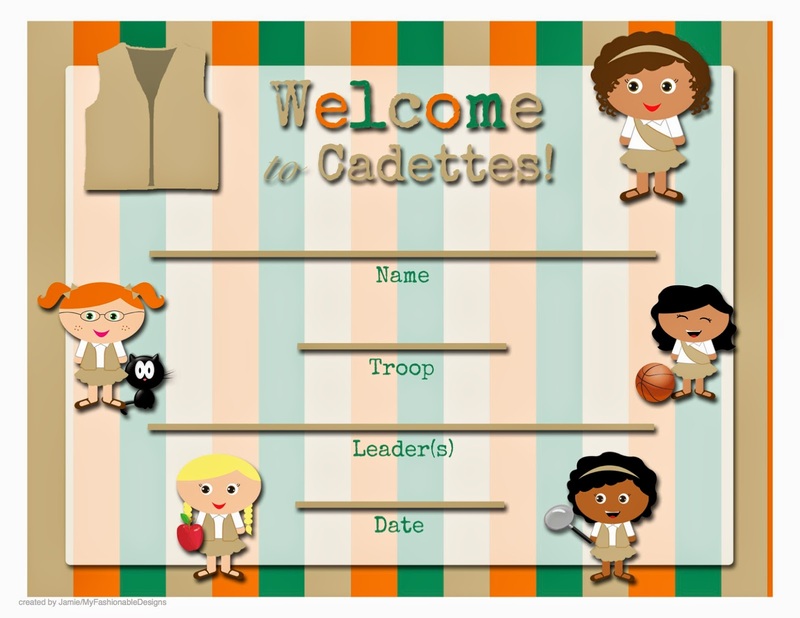 Do you have a certificate for investiture and/or rededication? 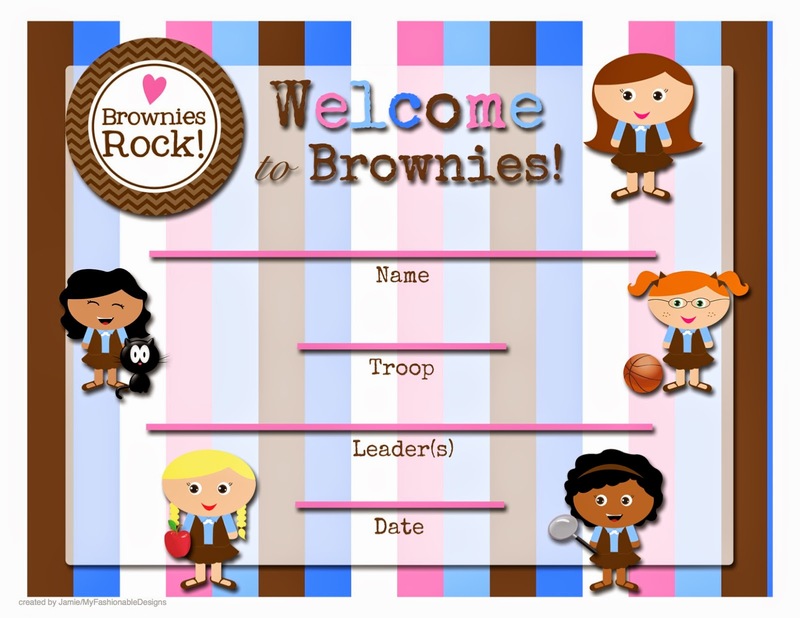 Do you have a Certificate that says Welcome Back to Daisies or Brownies? 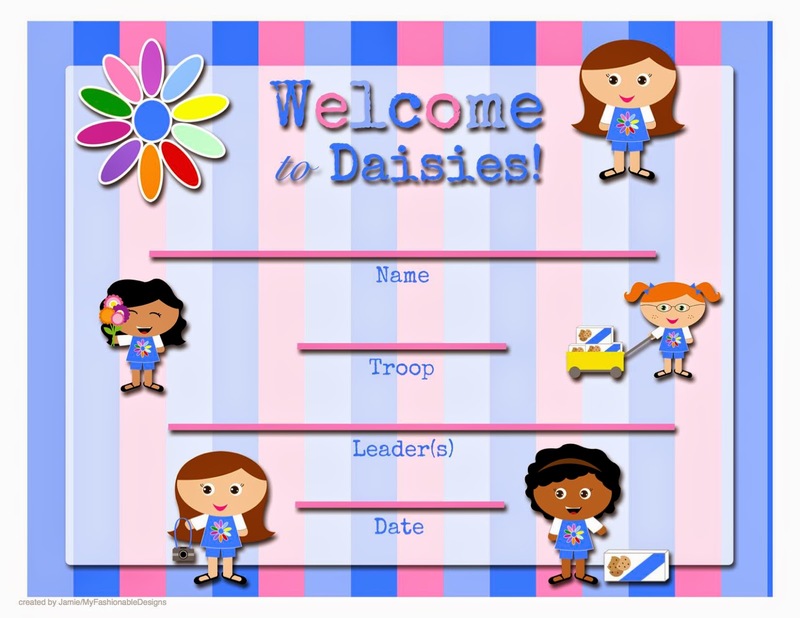 I'm giving the Welcome Certificate to the new girls for our Investiture ceremony, but need a Welcome "Back" Certificate for the "old" girls for the Rededication ceremony. Thanks so much!